Remote wake requires a supported network card. See System Requirements for supported cards. If you are using a motherboard with dual LAN chips with one being Intel, disable the Intel LAN chip (in Windows Device Manager). 1. 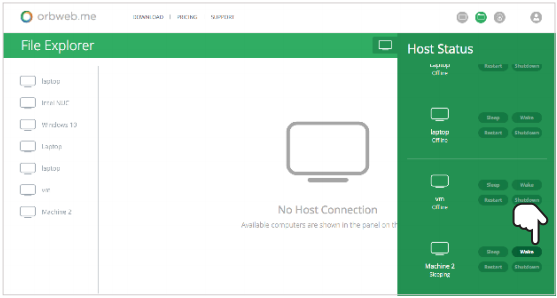 Click on the power button to put host to sleep. Or click on Shutdown to shut down. 2. 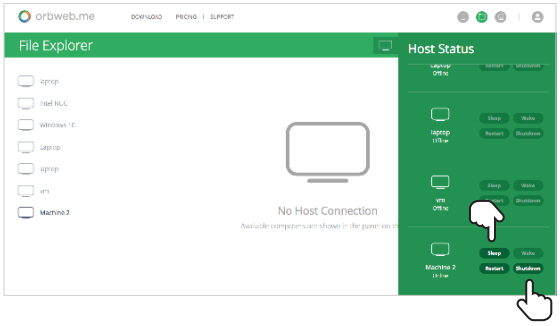 When Host Status is offline, click on power button to wake up the host.